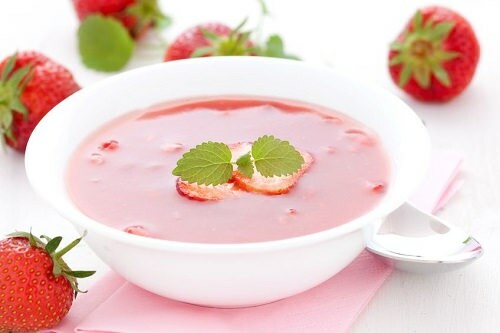 Serve strawberry soup as an appetizer or with a salad for a light lunch. The only ingredients you’ll need are strawberries, mint leaves, yogurt, and milk. Garnish with toasted almonds. Put these soup recipes to good use and have a soup-tastic summer. What’s your favorite summer vegan soup?